Wild Apple Jack was the product of mating Dam Elhew Liebotschaner (Lady) and Sire Wynot Ace. He was handled and trained throughout his career by Craig Doherty. Jack died in late 2015. His last appearance in a trial was at the 2013 Grand National Grouse and Woodcock Invitational Championship that was his fifth invitation to the event. Jack was still hunted sparingly during the hunting season here and many of our Guide Service clients had the pleasure of shooting over Jack. 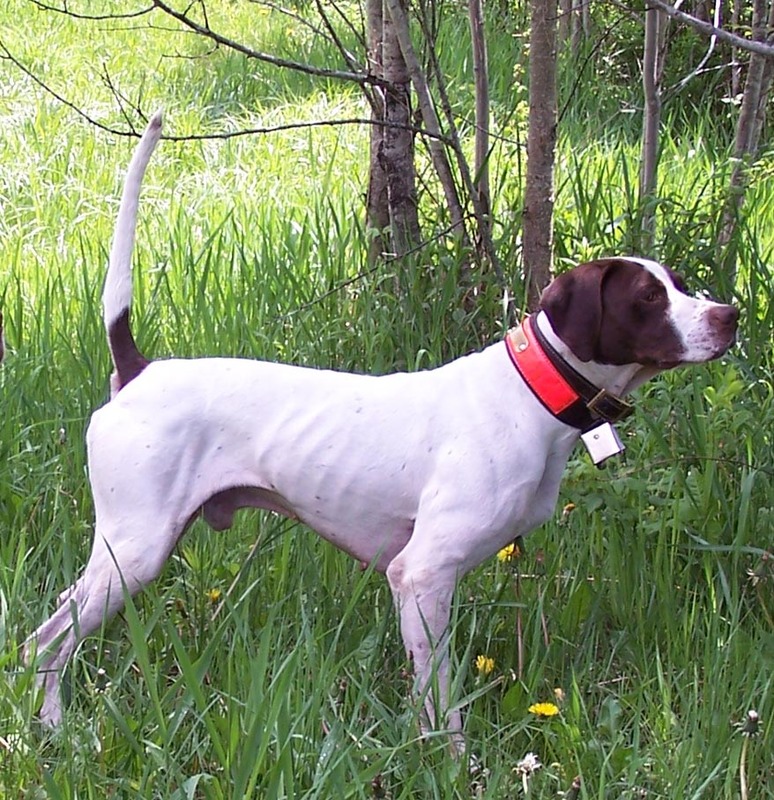 He is a naturally front running dog that developed early, winning the 2007 Grand National Grouse Championship at the age of three followed by a win at the Northern New England Woodcock Championship (56 dogs) in September of 2008. He was consistently competitive throughout his long career finishing his career with five championship and one runner-up placements. His sire, Wynot Ace, won the 2003 National Amateur Grouse Championship and the 2003 International Amateur Woodcock Championship as a Fall derby and was owned by Jack Harang. Dam Elhew Liebotschaner was given to Craig by the late Bob Wehle and excelled as a wild bird dog here in New England and as a quail dog in Texas. She earned both derby and shooting dog placements but was run sparingly as she was bred to Ace four times, producing her last litter in August of 2008. For more information Contact Wild Apple Kennels. A limited number of puppies and started dogs will be available from Wild Apple Kennel in the future. Check our Puppies and Started Dogs page for updates. 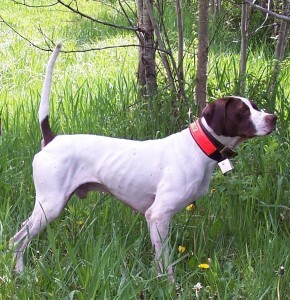 In addition to Wild Apple Jack’s accomplishments, his littermate brother, Autumn Moon won the 2008 Grand National Grouse Championship and the 2009 Michigan Woodcock Championship and finished his career with seven championship wins for his handler Scott Chaffee. We are now seeing the potential of the next generation as the progeny of Wild Apple Jack and Autumn Moon are excelling as field trial and as high class shooting dogs. Many of them can be seen on our Wild Apple Dogs page.